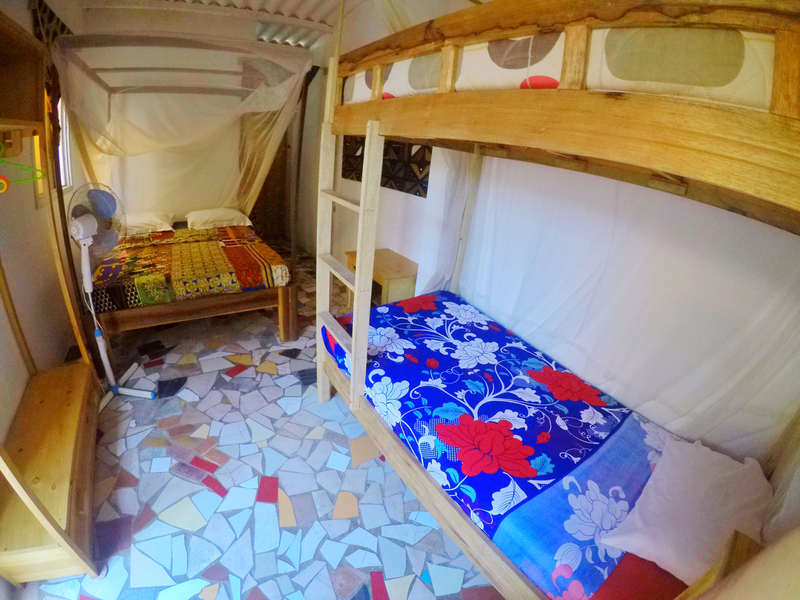 Surf Camp located right in front of the best beach break in Yoff beach in Dakar and just a few minutes from all the other Dakar and Ngor surf spots. 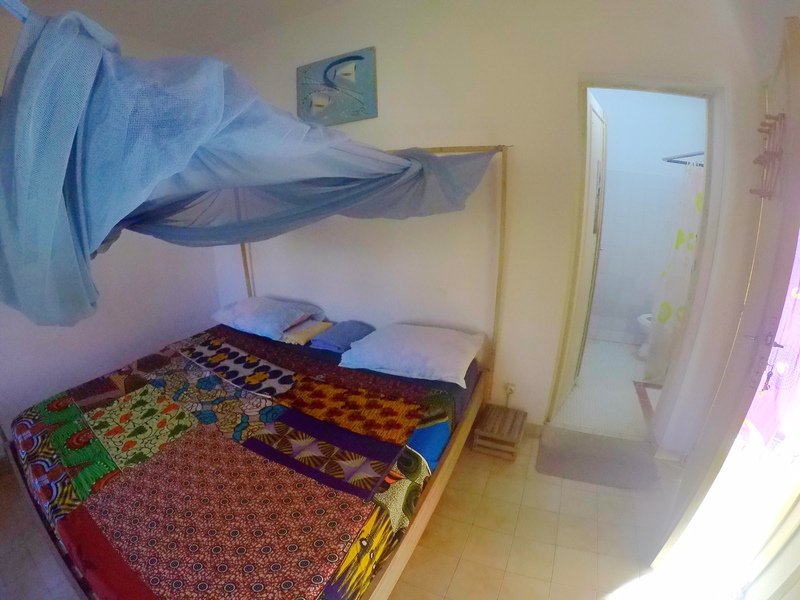 This house was renewed by surfers to host other surfers and make sure you get all what you need during your surf trip to Senegal, both in catching the best waves at the best spots each day (for beginners and pros) but also to feel in absolutely comfort at the camp. 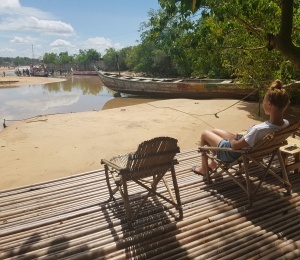 The Yoff beach is located a few kilometres from Dakar downtown, very close to the airport and hosts some of the best surfing spots of the peninsula. Within 15 kms distance there are at least 20 different spots from reef to point and beach-breaks. There are waves of all sizes and shapes for all surf levels. The old neighbourhoods of Dakar, Yoff and Ngor have a very long history and many interesting places to visit like the slave museum in Goree Island, very close to an amazing wave where you can enjoy a memorable surf session at the sunset ! Yoff beach is also an attraction itself because it hosts one of the most important ports of traditional fishing in Senegal and the fish market of Tonghor, a very typical and interesting place to visit, specially in the evenings with all the colourful canoes arriving on the beach downloading great tuna or swordfish. After the landings, it is usually the women, wives of fishermen, who take care of the retail. Feel free to buy some fish to grill at the camp. We'll help you out. Yoff village also hosts the popular mausoleum of Seydina Limamou Laye, which is a place of annual pilgrimage among locals. This is a very safe beach side with no government police and very little crime. This is thanks to a local administration system which supervises Yoff. 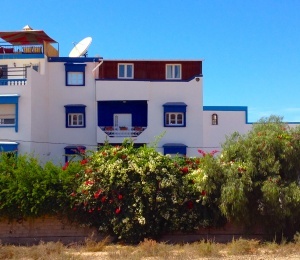 This surfers house is located right in front of the beach, only 5 minutes from the airport and 20 minutes to Dakar downtown. There's a big variety of room types to exactly suit what you're looking for. 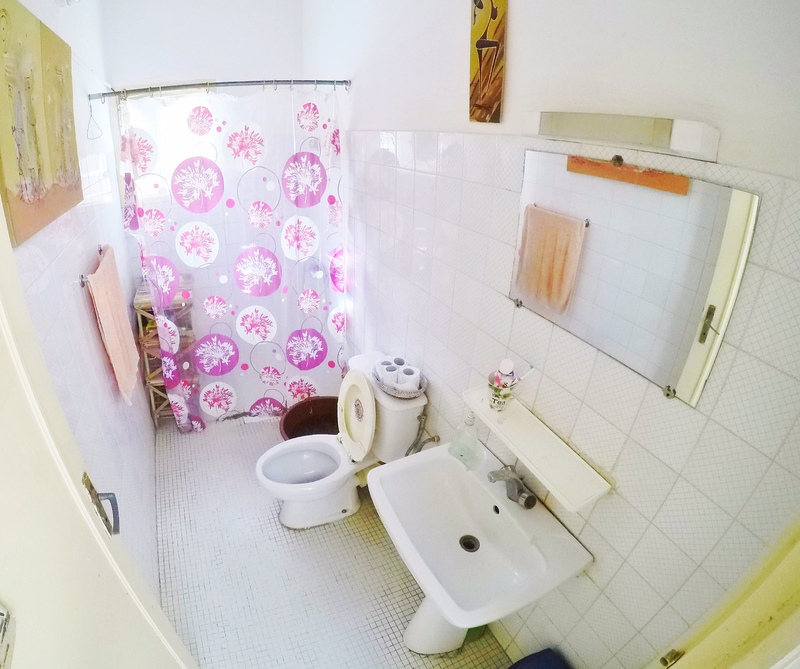 From double, single or family rooms with private bathroom to twin and shared rooms with common bathrooms. 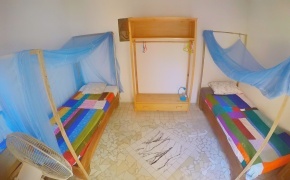 All the rooms are well-lit and quiet with a fan and mosquito nets both on the windows and above each bed, wifi 24h and personal lockers for your personal items. Outside there's a big chill area with hammocks, a ping-pong table and slack line. 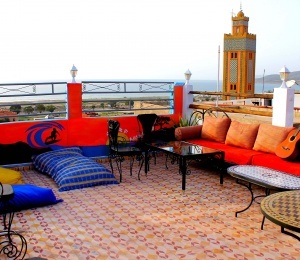 On the roof terrace you'll enjoy the sunset and watch the waves rolling in. If you're more into parties and dancing, from Thursday till weekend many clubs around along he beach offer evening parties with different kinds of music; so you’ll find it very easy to move around and have fun! 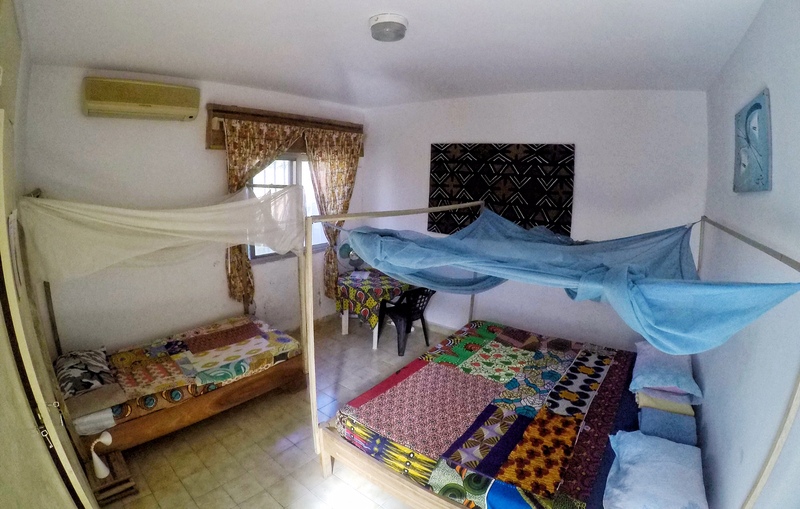 From Dakar Surf Camp it’s also super easy to reach all the surf spots in the area, as it takes only 15 minutes to reach the Almadies peninsula, where the most popular breaks are located like Club Med, Vivier, Secrets or Ouakam. Also Ngor island is very close and easy to reach on our boat that will drop us directly on the wave! 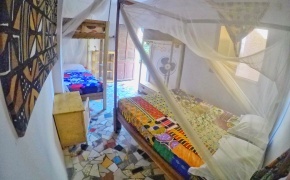 This is no doubt the perfect solution for your surf holidays in Senegal. Senegal geography and specially the Dakar peninsula (Almadies ) captures swells from all directions making it one of the most consistent surfing areas in Africa. This unique place is an authentic swell magnet receiving waves coming from the North, the North-West and from the South. The best period for expert surfers is considered to be between December and June, when the big North Atlantic swells hit the peninsula and turn around the cape. When this phenomenon happens, it produces incredible waves that only some daring surfers have the privilege to surf. From May the surf spots in the south of the Peninsula commence firing as the South Atlantic starts producing its first storms. Anyway, all year round Beginners can enjoy the beach break of Yoff and some easy reef breaks to learn to surf and improve their abilities in safe and easy waves. On the north part of the Peninsula there's mostly beach breaks, while in the south coast most of the spots are on rocky bottom. The surf instructors will bring you to surf epic waves like Ouakam or Club Med if you're and expert surfer or simply take you to easy reef like Secret or Yene if you're a beginner. There's never too crowd here as this is still a destination for the most adventurous surfers who dare to travel to this amazing country in Africa in the search of incredible waves. SURFINN © 24-04-2019 04:42:41. ALL RIGHTS RESERVED.